Researchers from the University of Rochester Medical Center recently reported that supplementing the diet with soybean oil significantly reduces fatigue in breast cancer survivors. Dr. William Li talked about his new book, "Eat to Beat Disease," in an interview with "Good Morning America," saying we have completely underestimated the role that the foods we eat can play in combating illness. 1.17.19 - Will soybean pulp become the next superfood? There is often talk about the emergence of new superfoods, but only a few actually attain that status. The latest recipe of the Impossible Burger contains soy instead of wheat as the major source of protein. Here’s why. Nestlé is planning to debut a plant-based burger under its Garden Gourmet brand. Food manufacturers can promote eligible soybean oil products as U.S. grown and now, heart healthy. Take the latest quiz to earn CPE credits. 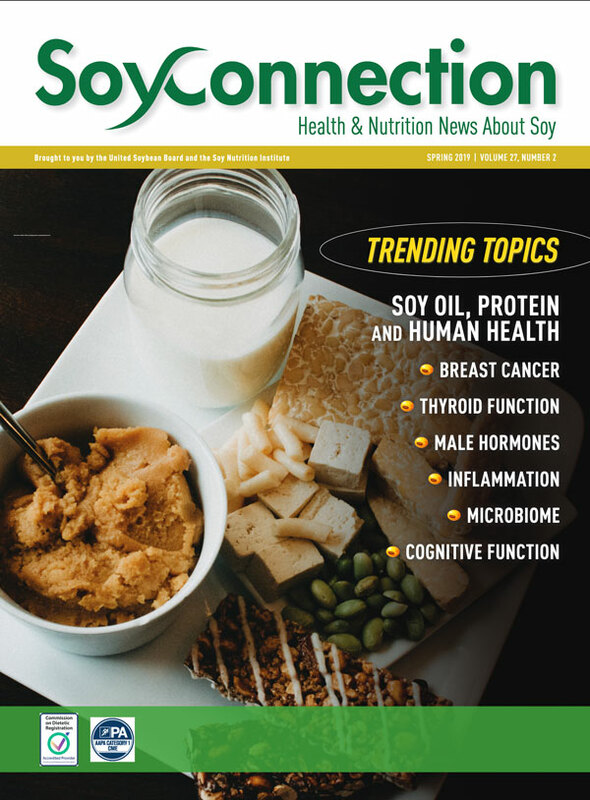 Soy Connection is a collaboration of health, nutrition and food industry experts with U.S. soybean farmers to educate on the benefits of U.S.-grown soy, including heart-healthy soybean oil and soyfoods. Soy Connection is brought to you by the United Soybean Board (USB), a national checkoff funded by U.S. soybean farmers.